The Australian Transport Safety Bureau (ATSB) has issued a safety advisory notice after a Malaysia Airlines (MAS) Airbus A330-300 took off from Brisbane Airport without the covers for the aircraft’s three pitot probes being removed. The ATSB preliminary report on the July 18 2018 incident, published on Thursday, said an inspection of the aircraft prior to departure “did not identify the presence of the pitot probe covers and they were not removed prior to the aircraft’s departure”. As a result, the aircraft, 9M-MTK, pushed back from the gate and proceeded to Runway 01 for takeoff with its three pitot probes, which are used to measure airspeed, covered by tightly woven Kevlar sheaths about 12cm long with a 30cm streamer. The ATSB report said the flightcrew had detected an airspeed anomaly during the takeoff roll, including red speed (SPD) flags on both primary flight displays (PFD). It said there was no indication on the recording from the cockpit voice recorder that the captain – who was the pilot monitoring and who held responsibility for the decision to reject the takeoff or continue – and the first officer, as the pilot flying, discussed rejecting the takeoff. 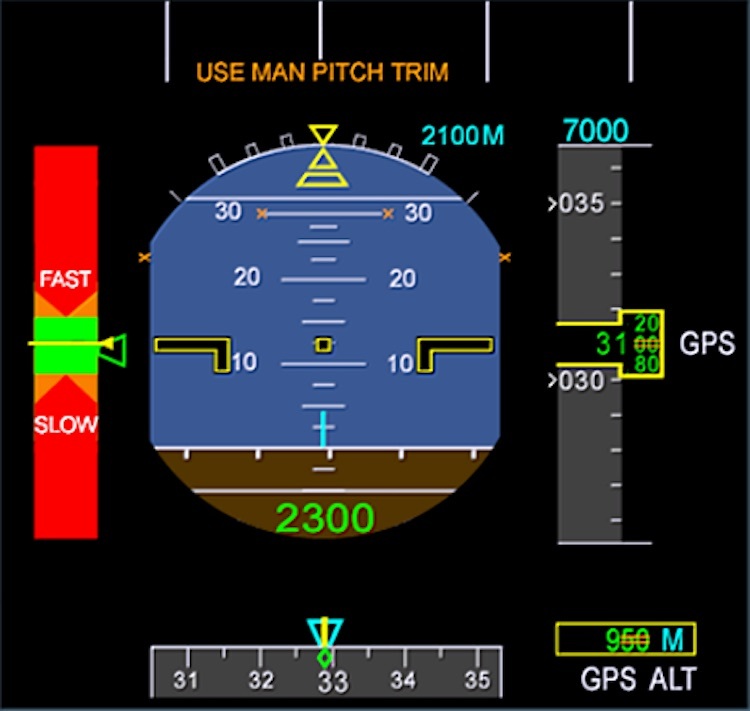 After takeoff, the flightcrew carried out actions for unreliable airspeed indications and made a PAN call to air traffic control (ATC), advising they had unreliable airspeed indications. 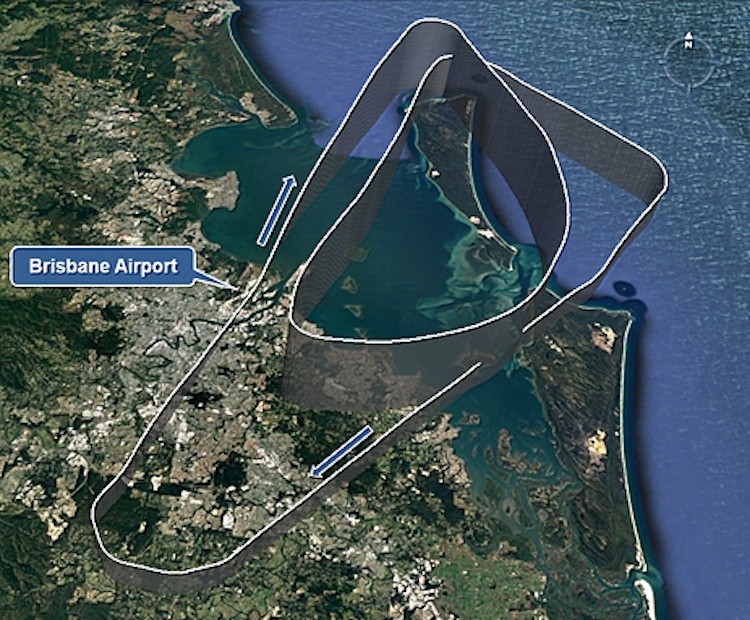 The flightcrew then flew the aircraft to the north-east of Brisbane Airport where they carried out several checklists, troubleshooting and preparing for an approach and landing on runway 01. “In accordance with published procedures, the flightcrew turned off the three air data reference systems (ADRs),” the ATSB preliminary report said. With all three ADRs turned off, the flightcrew used gravity extension to lower the landing gear before conducting an overweight landing on Runway 01. The aircraft was then towed back to the terminal. There were no injuries to passengers or crew. 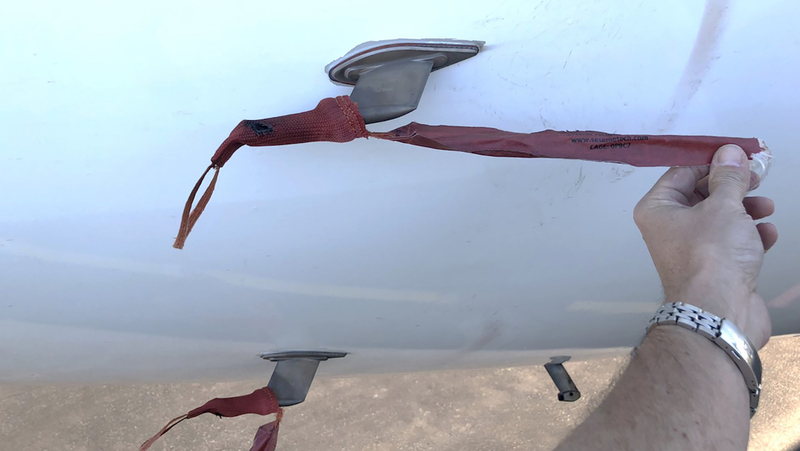 “A subsequent inspection identified that the pitot probe covers were still fitted to the aircraft’s three pitot probes after it landed,” the ATSB report said. Airspeed information from the flight data recorder (FDR) was “consistent with the pitot probes being covered”. “The ATSB report said the preliminary analysis of the available groundspeed and angle of attack data indicated that the aircraft was flown within operational limits. 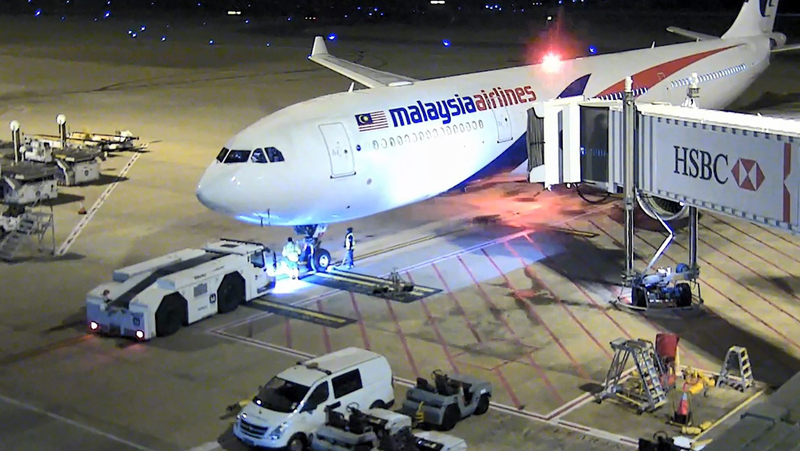 The A330-300 9M-MTK had arrived in Brisbane as MH135 a little after 2000. It was due to be on the ground for about three hours before operating the reciprocal MH134 back to Kuala Lumpur. After landing, covers were placed on the three pitot probes located at the front of the airframe, with two on the left side and one on the right side. The ATSB report said the aircraft’s turnaround duties were shared between a MAS maintenance engineer, two non-certifying engineers from a local engineering support provider and four ground handlers from a local ground handling service provider. It said the pitot probe covers were fitted on the aircraft’s three pitot probes by one of the engineering support personnel, “as it was his understanding this was normal practice”. The preliminary report said this engineer informed the airline’s maintenance engineer that pitot probe covers were fitted during a brief exchange discussing turnaround tasks, but that the maintenance engineer did not directly respond. “The maintenance engineer later reported that he did not recall hearing the advice, and he did not make an entry in the aircraft’s technical log to record that the covers had been fitted,” the ATSB report said. “The presence of the pitot covers was not detected by the operator’s maintenance engineer or captain during separate external aircraft inspections. The ATSB reported noted MAS routinely did not use pitot probe covers during a turnaround. Further, security footage showed MAS did not use pitot probe covers on its previous three turnarounds at Brisbane Airport. 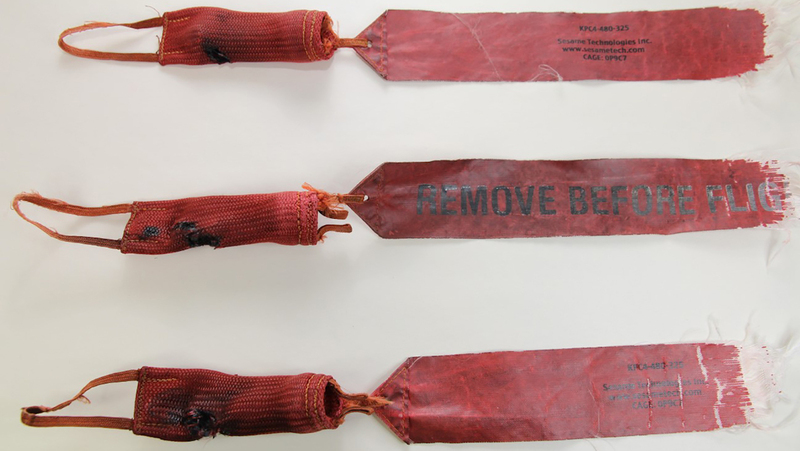 The three covers fitted to the aircraft were partially burned by the heated pitot probes, while the streamers were damaged by contact with the aircraft skin during the flight. In response to the incident, the ATSB has issued a safety advisory notice to all international operators using Brisbane Airport. “The Australian Transport Safety Bureau advises all operators that conduct flights to Brisbane Airport to consider the use of pitot probe covers and, if covers are used, ensure there are rigorous processes for confirming that covers are removed before flight,” the notice said. Also, the ATSB report said MAS had provided a notice to all of its engineers and flightcrew that “highlighted the need for pitot covers to be fitted to aircraft at Brisbane Airport during turnarounds or when parked, as well as the required procedures for their fitment and removal”. “The aircraft operator and engineering support provider clarified and formalised more detailed service level arrangements,” the ATSB report said. “The engineering support provider improved its procedures for conducting turnarounds, including improved inspection, documentation, and tool control. The ATSB report noted there had been at least 15 incidents between 2008 and 2015 involving high-capacity regular public transport (RPT) aircraft departing from Brisbane Airport where one of the pitot probes had a partial or total blockage, at least four of which were identified as insect nests. Of those, three led to rejected takeoffs, four aircraft returned to Brisbane after continuing the takeoff and one aircraft that continued to its destination. It said the blocked pitot probes were mainly from nests built by mud-dauber and other wasps, resulting in airspeed discrepancies and other effects. The ATSB said its investigation was ongoing, with a final report expected by the third quarter of calendar 2019. “Further investigation is required to determine the airspeed indications and related warnings and cautions being displayed to the flightcrew during the takeoff roll,” the preliminary report said. ATSB chief commissioner Greg Hood said it was a serious incident. “We will be focusing specifically on the procedures for flightcrew and ground crew in relation to the pre-flight checks for the aircraft, and also the cockpit warning systems received by the flightcrew as they accelerated down Runway 01,” Hood said. The incident occurred less than two months after MAS resumed nonstop flights between Brisbane and Kuala Lumpur, a route it suspended in 2015. No mention of the scrapped main gear doors following the subsequent heavy landing?